Meet the invisible but powerful answer to picture-perfect skin! 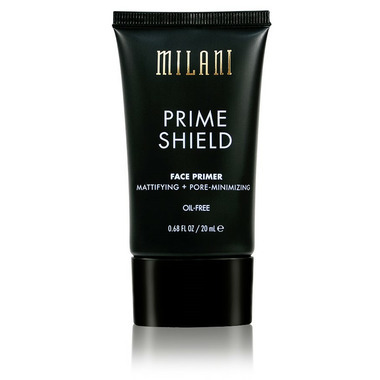 Milani Prime Shield Mattifying + Pore-Minimizing Face Primer softens the appearance of fine lines, large pores and flaws and creates a smooth canvas for makeup application. This translucent and oi-free primer blends invisibly onto the skin, resulting in a beautiful matte finish. It's ok but it doesn't fill in my pores, it actually seemed to enhance them. This primer is ok. It does not minimize pores. It does help my makeup stay on.